I first heard of the George Müller Foundation when I became the proud owner of the sampler shown here. 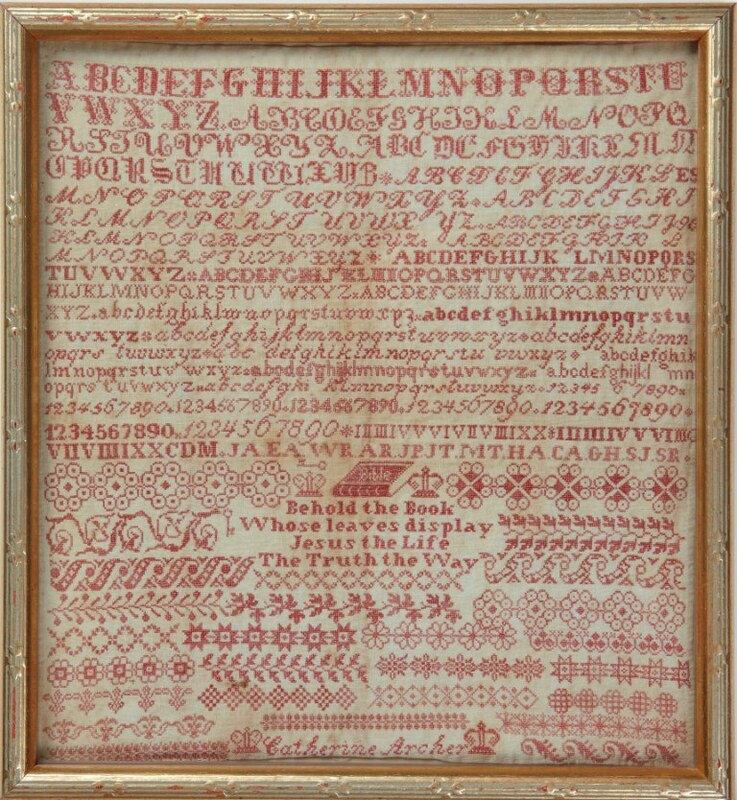 Catherine Archer, an orphan, stitched this sampler while she was living at Ashley Down Orphanage, one of the Müller orphanages in Bristol, UK. Catherine's original sampler was worked on ecru non-evenweave linen in one strand of red thread. The design was worked over one thread of the fabric: equivalent to 45 stitches to the inch! This is even more amazing when you consider that Catherine had no electric light or magnifier. As was often the case with the alphabet samplers stitched by Müller children, Catherine's design includes dozens of complete alphabets, her classmates' initials, border motifs, keys and a Bible.